Tippecanoe Valley Lady Vikings JV ran off with the lead late in the game in a 12-8 victory over Winamac JV on Thursday. The game was tied at seven with the Lady Vikings JV batting in the top of the fourth when Kayle Long doubled on a 1-1 count, scoring two runs. 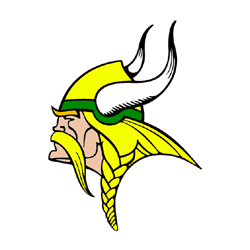 Long led Tippecanoe Valley Lady Vikings JV to victory by driving in four runs. She went 2-for-3 at the plate. Winamac JV took an early lead in the first inning. J Zeider homered on a 1-1 count, scoring four runs. Tippecanoe Valley Lady Vikings JV evened things up at seven in the top of the third inning. Dortha Tucker grounded out, scoring one run. Sydney Rhamey got the win for Tippecanoe Valley Lady Vikings JV. She surrendered eight runs (6 earned) on 11 hits over four innings, striking out four. Tippecanoe Valley Lady Vikings JV racked up ten hits in the game. Mercedes Snapp and Kayle Long collected multiple hits for the Lady Vikings JV. Jerzey Conley, Alexis Michael, Whitney Dice, Macy Kirchenstien, Dortha Tucker and Sydney Rhamey all had 1 hit each.